Our 2014 Knitter-in-Residence will be Susan McComb. Susan is a Textile Design graduate of Glasgow School of Art and has worked on a range of community knit-based projects including the Aberteifi cardigan knitting project (http://www.theaberteificardigan.com/) and the Marie Curie Hospice stitching project at Stobhill Hospital. 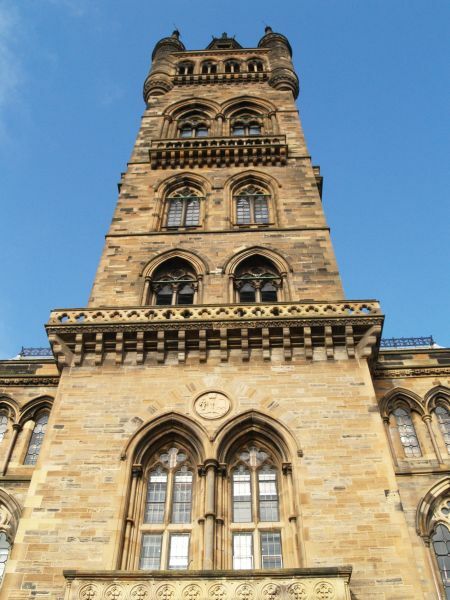 Susan plans to use the designs embedded in the magnificent architecture of the University of Glasgow to inspire knit designs and patterns. She will be resident at the University during Wool Week. The Knitting-in-the-Round team would like to thank everyone who applied for this post. We were inspired by your creativity and excited by your engagement in our project. Congratulations – Susan is so talented! Well done Susan, excellent news! Congratulations! I look forward to seeing what results from this project.